Just Walking A-log. If you'll pardon the pun. 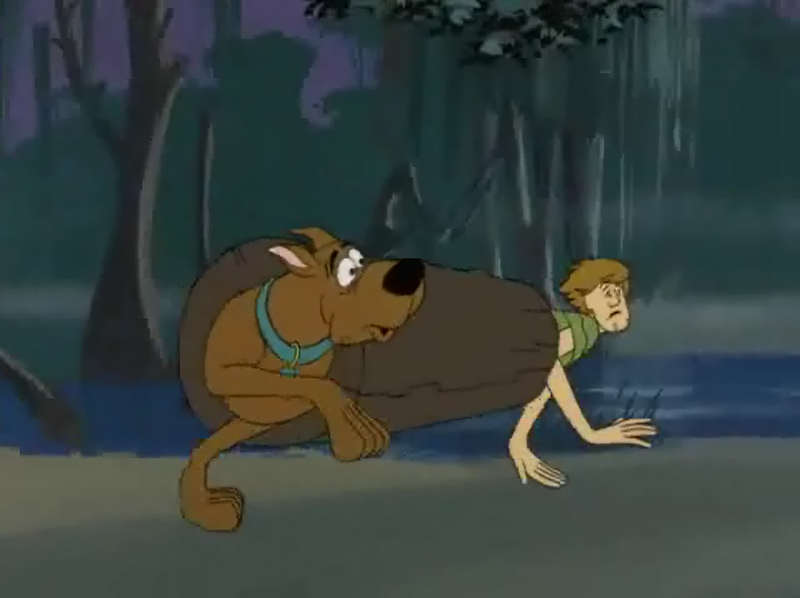 Shaggy and Scooby simultaneously run from and are mistaken for a swamp monster.. HD Wallpaper and background images in the Scooby-Doo club tagged: scooby-doo shaggy. If you'll pardon the pun. 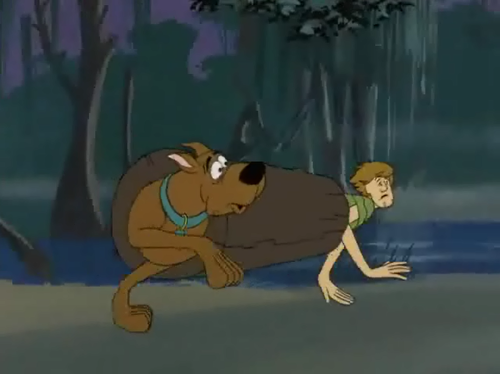 Shaggy and Scooby simultaneously run from and are mistaken for a swamp monster.